Following in the footsteps of alumni's such as other talented UK artists - Jessie J and Rizzle Kicks, 19 year old - J-Sol is fresh out of the famous Brit School in London. 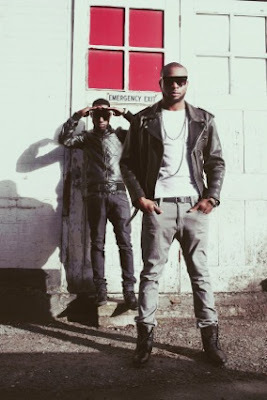 With a new single out 'Treat Her Like A Lady' featuring UK dancehall/reggae artist - Stylo G, J-Sol is a singer/songwriter that has received recognition from other big artists. J-Sol has worked, danced and choreographed for many artists such as afrobeats star D'banj (Oliver Twist), Dappy, Cheryl Cole and N-Dubz. Earlier this year, JLS announced J-Sol's acoustic cover of 'Hottest Girl In The World' as their 'video of the day' via Twitter. The 19 year old's new single 'Treat Her Like A Lady' received it's first airplay on BBC 1XTRA - CJ Beatz show on the 19th November. The single is 'Treat Her Like A Lady' will be released on the 4th February via up-Tempo records.